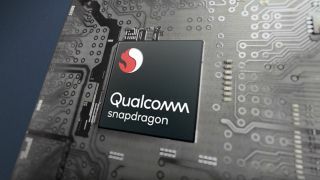 Qualcomm may not be satisfied with even the 30% gains on performance that the new Snapdragon 850 will bring to Windows 10 on ARM devices later this year, as a successor is already under way. German technology news outlet WinFuture reports that a Snapdragon 1000 is coming. Without mentioning the nature of its sources, WinFuture reports that this Snapdragon 1000 system-on-a-chip will feature a 12-watt (W) TDP, or thermal design power – more TDP means a higher threshold power driven to components without overheating. This almost double that of the TDP found within the Snapdragon 850, and much more than that found in Qualcomm’s smartphone chips. In fact, it’s rather close to the TDP you would find within Intel’s latest mobile processors, generally 15W. While WinFuture has very little information on the processor itself, such as core counts and clock speeds, that purported TDP tells us everything we need to know about what this supposed processor is for: Windows 10 laptops and tablets. Such a level of TDP threshold simply wouldn’t fly on a smartphone. What kind of devices will Snapdragon 1000 make? That said, the near doubling of available wattage gives us pause as to exactly what kind of device Qualcomm intends to power with this processor. Will the same thin, light and incredibly long-lasting designs be possible with a chip inside generating twice as many watts? Well, Windows 10 laptops and tablets using Intel’s latest chips are generally about as thin and light as the first line of Windows 10 on ARM devices, and little about their TDP has changed in the past year or two. However, the more important question is whether a Snapdragon chip with 12W of TDP can deliver the same amount of day-long battery life as the current models do. We’re dubious, to say the least. Regardless, WinFuture continues in its report to detail an Asus device in the works using a Snapdragon 1000 codenamed ‘Primus’. The laptop and/or tablet will reportedly have a 2K-resolution display and support the latest WiGig standard. Both the processor and this Asus device showcasing it are reported to debut in late 2018, which would be awfully early considering we’ve yet to see a Snapdragon 850 device on shelves yet.